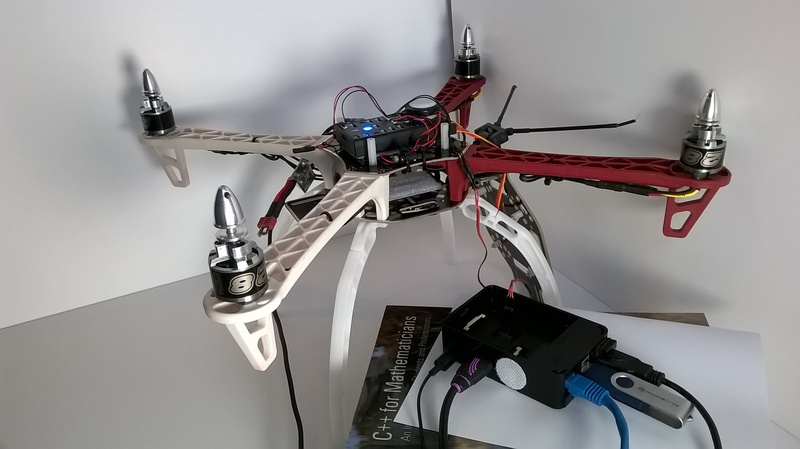 My Masters project within the Bristol Robotics Laboratory is to design a system of UAVs that can be deployed in groups to co-operatively map the structure of their environment. This is envisaged as an internal environment, however it is expected that the technologies developed may be additionally adapted for external mapping. This series of posts documents key elements of the project. So far we have set the objectives and built an airframe based on a standard 450 quadcopter configuration. 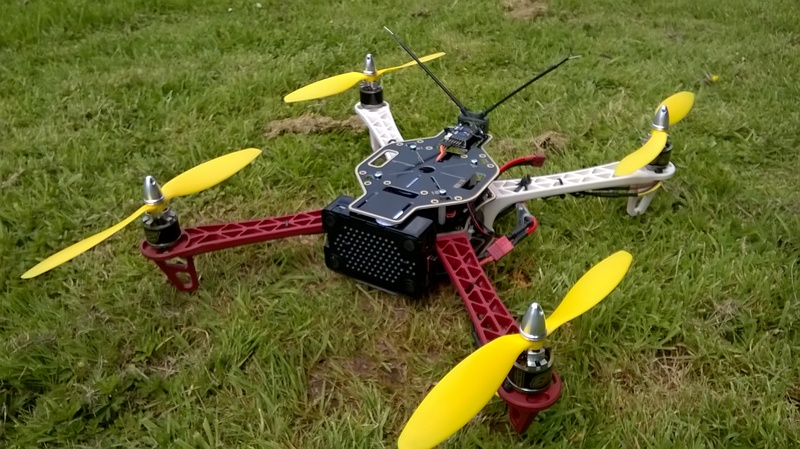 An on-board Raspberry Pi will have overall control of the UAV. 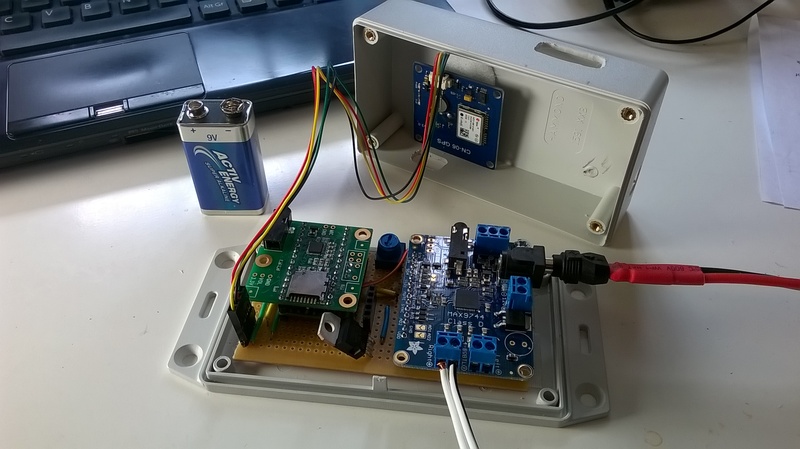 This post shows how we can set up communications between the Raspberry Pi 2 and a Pixhawk flight management unit, using the Mavlink messaging protocol, so that the Raspberry Pi can take control of navigation. 02. MRes in UAV Co-operative Mapping. Airframe Construction. Two on-board computers and plenty of space for sensors. Oh yes, it flies rather well too! 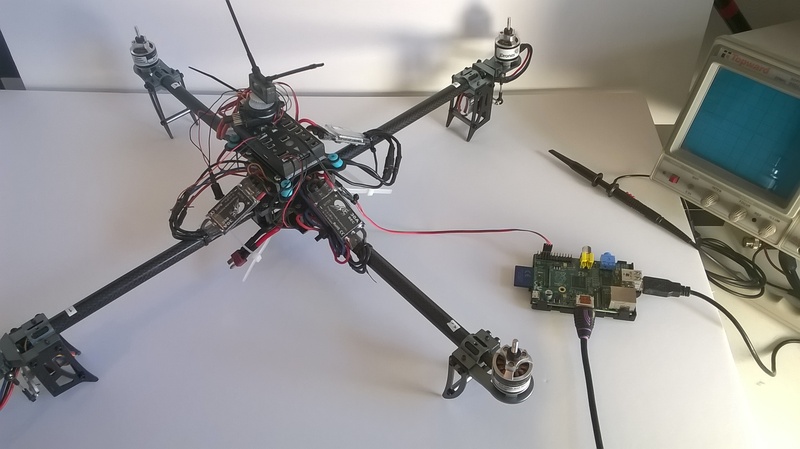 My Masters project within the Bristol Robotics Laboratory is to design a system of UAVs that can be deployed in groups to co-operatively map the structure of their environment. This is envisaged as an internal environment, however it is expected that the technologies developed may be additionally adapted for external mapping. This series of posts documents key elements of the project. This post shows the construction of the new airframe being used for development. 01. MRes in UAV Co-operative Mapping. Objectives. Initial research platform. Pixhawk and Raspberry Pi. Able to fly autonomously in a confined space and to map that space. Able to join with others in a swarm to map the space about them. using other means to recognise and identify other vehicles (e.g. image recognition). The objective is that these should eventually be fixed wing, rather than multi-rotor. EV Synthesiser arrangement in project box. A potential issue for electric vehicles and robotics in general is that they move relatively silently. This can pose safety issues when the vehicle/robot is in close proximity with people. As an aside to my main UAV research project, the synthesiser explores how sounds can be created that relate to the movement of an electric vehicle or robot.